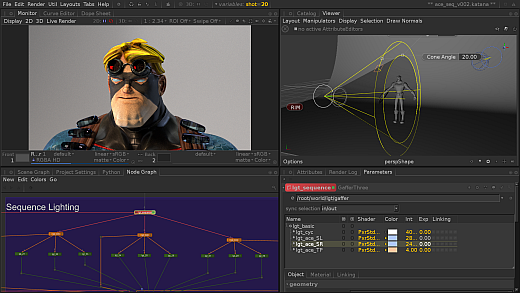 + Today, The Foundry launches the latest update to its professional look development and lighting tool. Responding to customer demand, KATANA 2.5 will offer support for Windows, putting the award-winning tool in front of more artists working in VFX, broadcast and animation. One of the most powerful lighting and look development tools is getting an update. Easier to install, use and integrate, KATANA 2.5 is now Windows-compatible, a customer request that will bring the famous “lighting recipes” to even more artists working in VFX, broadcast and animation. Support for V-Ray, RenderMan, Arnold and 3Delight have also been added, making the tool even more versatile in the modern 3D pipeline.